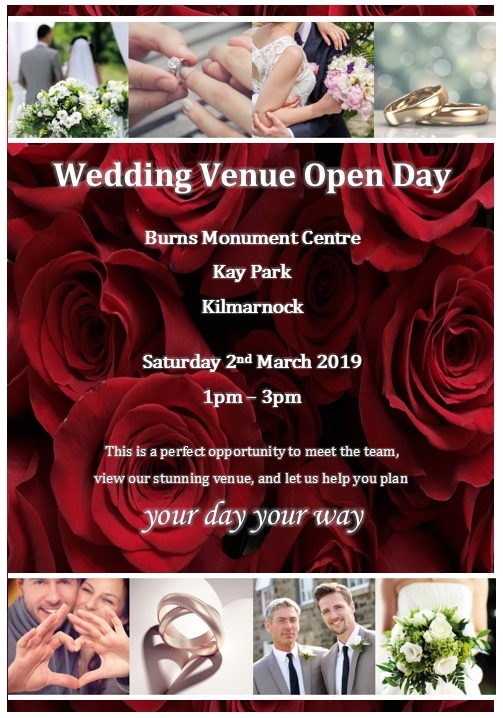 Come along to our wedding venue open day at the Burns Monument Centre, located in the beautiful setting of the Kay Park in Kilmarnock. This is a perfect opportunity to meet the team, have a look around our stunning venue and let us help you plan your day your way. Please note that our Cumnock venue at Rothesay House is also open on the same day. 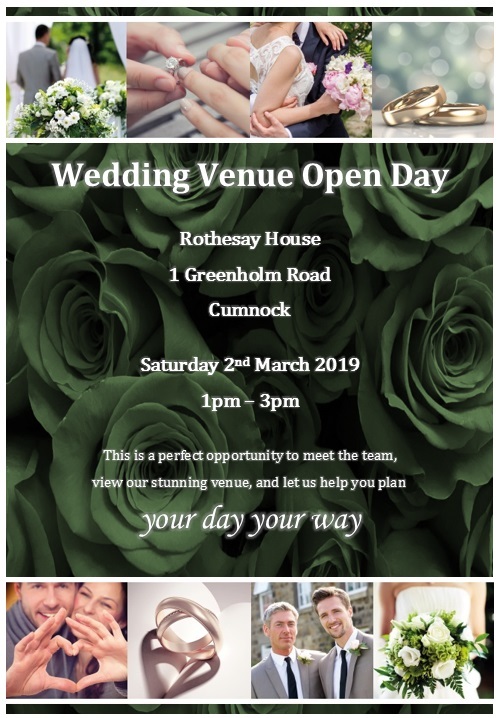 Come along to our wedding venue open day at Rothesay House, 1 Greenholm Road, Cumnock. Please note that our Kilmarnock venue at the Burns Monument Centre, Kay Park is also open on the same day.